One issue with dive computers that is always coming up is that they (pretty much) all use different algorithms. Specifically, the algorithms on one model tell you that you’re within your safety limits while the one of your dive buddy tells you to take a decompression stop or you’ll get bent. Which one is right? Or, to ask in a better way, is one right and one wrong? Algorithms used in scuba computers are based on (theoretical) models. They are not adapted to the diver that uses the computer but are based on overall experimental data and theory on nitrogen absorption under pressure. The result is that some algorithms are more conservative while others are more liberal or lenient. That does not make one safe and the other unsafe. There is no evidence that divers using less conservative algorithms experience the bends more often than their buddies using a more conservative model. Are all Dive Computer Algorithms safe? You can overall trust that any of the dive computers available on the market today will keep you safe if you use them within their limits and follow their guidance. That does assume that you will be in somewhat decent physical shape and have no existing preconditions that you ignore which would prevent you from diving in the first place. Divers that end up in trouble usually will do so for other reasons than the conservatism or leniency of their dive computer algorithm. The exception could be that a diver uses a computer that is geared for technical diving and that lets you adjust all different limits within the algorithm. Being inexperienced on top of using a highly aggressive algorithm could potentially lead to some problems while diving. If you however use any standard dive computer off the shelf then you will end up safe if you adhere to the alarms and warnings. Some divers do think that they could or should outsmart their scuba computer by using two of them. That way they switch between the devices after each dive and ‘cheat’ the algorithm and history. If you diving computer does not know all your previous dives for the day then it certainly cannot calculate your limits correctly which in turn can get you in trouble! It does and it doesn’t. You want to have your scuba computer in the first place to give you alerts and warnings when you get into conditions that could be harmful to your body. Usually, you want to follow the guidance to reduce the risk of getting the Bends. 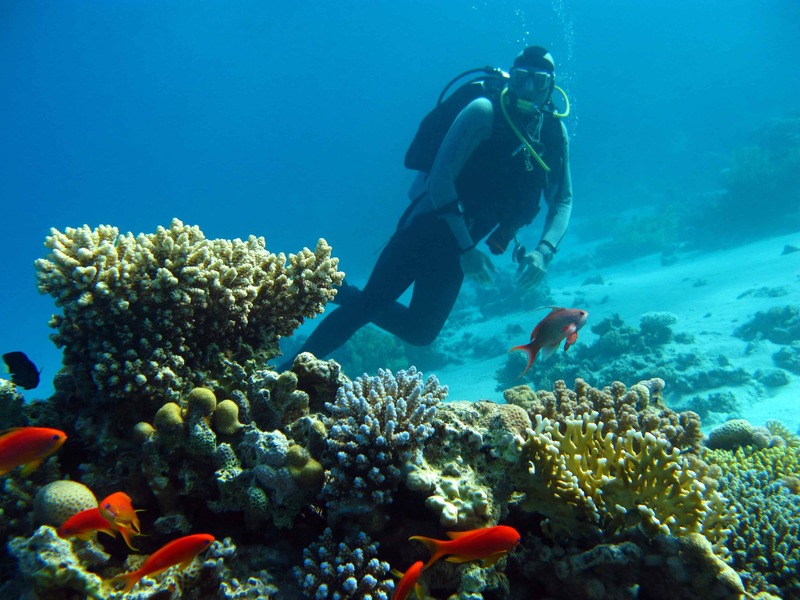 Many scuba divers do not dive in the area they live in but instead go on diving trips. This is where the desire comes in to be able to dive as much as possible. 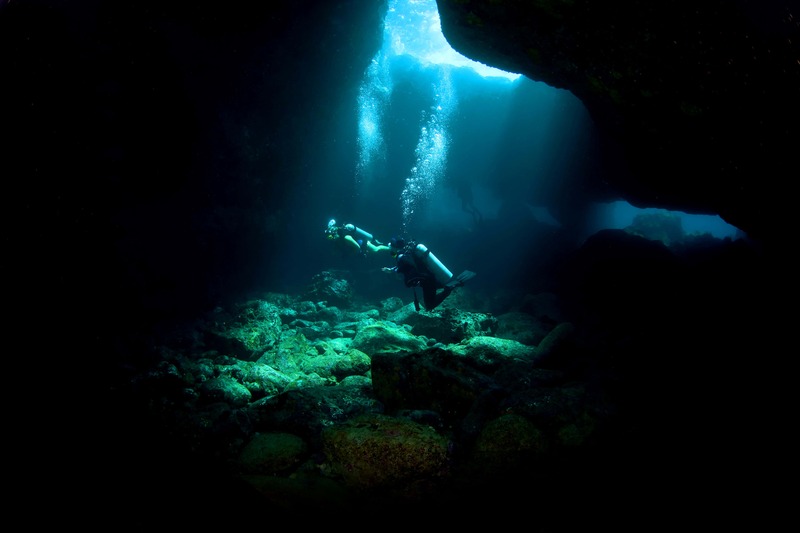 Diving vacations usually end up with multiple dives a day spread out over several days. That does in turn result in quite a lot of stress for your body. To eventually make the decision on whether you are ok with a more conservative algorithm or not is somewhat a personal choice. Common sense would say that if you are young and athletic then going the lenient route should pose no problem at all. Yet, being out of shape and a little on the older side might very well cause an overlap of where a lenient algorithm can enter dangerous territory. Experience is in our opinion another important factor. And maybe experience is the wrong word here. It’s more confidence which comes through experience. When you are a new diver then you do want to squeeze every second out of a dive. Everything is new and the urge to be under water at all cost at times can lead to ‘stupid’ decisions. Like ignoring any warning signs or even alerts and staying underwater even when you shouldn’t. 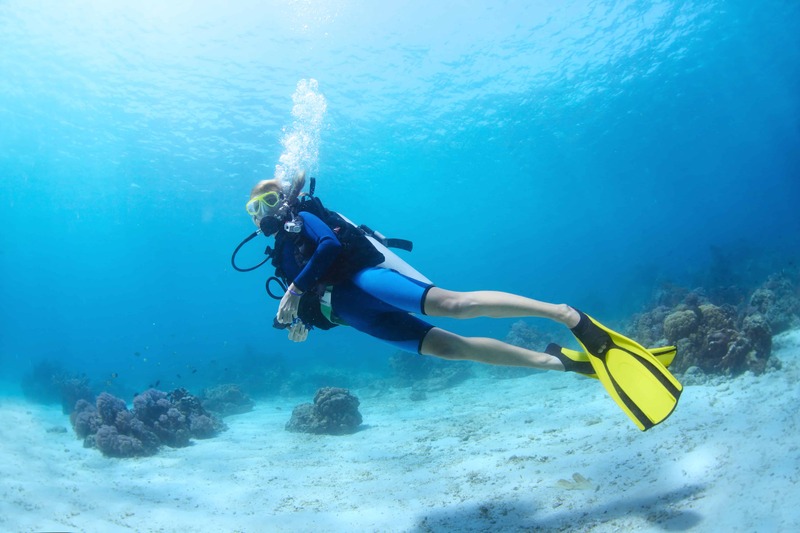 An experienced diver is more likely to not ignore those alerts even if he or she knows that the algorithm is very conservative and leaves room to push the limits. This by no means should indicate that inexperienced divers would always take unnecessary risks but experience will be a factor when you are thinking of ignoring any alerts your dive computer might throw at you! Another big advantage of having experience and confidence is that you are most likely more willing to call a dive. If you dive with a group and your dive computer is the one with the most conservative algorithm then you most likely will be the one that gets the warnings and alerts first. 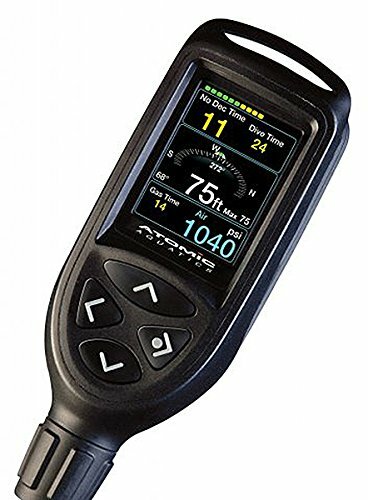 If you are a new diver you might be tempted to ignore your dive computer as you don’t want to be the diver that calls the dive. Can you influence the algorithm? Most, if not all scuba computers have the feature to set conservatism settings. These will change how conservative the algorithm calculates your warnings and alarms. Lower end dive computers will allow very simple manipulations while technical dive computers have usually more complex adjustments available. In any case, what can often get divers into trouble is not understanding how the adjustments work. It is good practice and it should be obvious that you read the manual and get yourself to understand clearly how the manipulations and adjustments work. It would be common sense not to try to read about it when you’re on the dive boat and getting ready for your dive. Take a few moments to read through the details and try them out before you go on a trip to understand how to set conservatism settings, etc. on your specific model. As already mentioned, there are a number of different algorithms around. They are typically grouped into two classifications. The Pelagic Z+ based algorithms are the typical RGBM (Reduced Gradient Bubble Model) based variants. 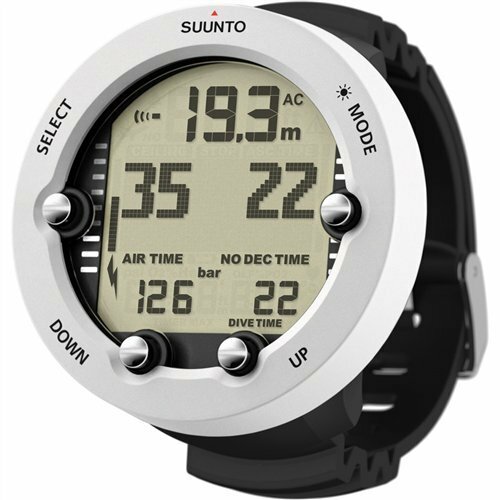 You’ll find those in Suunto, Cressi, Uwatec, Mares and Tusa devices to just name a few. These usually provide some limited adjustment possibilities and tend to be somewhat more conservative. The other mainstream algorithm used is the Pelagic DSAT. It’s overall more adjustable and liberal. You’ll find this algorithm in many of the more technical scuba computers. The mainstream brands that use this as their underlying model are Oceanic, Aeris, Sherwood, Genesis and some other Tusa models. The best of both worlds comes from Oceanic. They have figured out that when you’re diving in a group you will never have all divers use the same algorithm which can be frustrating for the ones that have to call the dive as well as the others where their device shows them that they have more time before reaching any limit. Oceanic dive computers provide two different algorithms and you can choose which one to use. 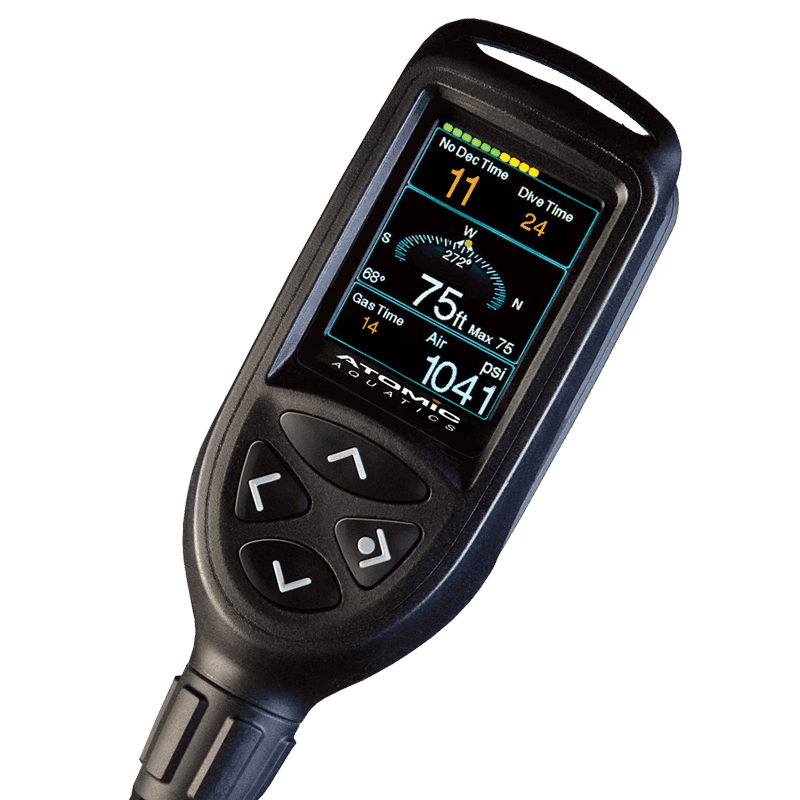 This enables you to adjust your device to closely match the scuba computers of other divers in your group. DSAT based algorithms are typically considered more aggressive or liberal compared to RGBM based algorithms. They typically will be found on devices that are somewhat more expensive and technical. In short, they don’t target the entry level market. Which Scuba Computers use the most conservative algorithms? Most, if not all dive computer manufacturers use their own algorithm. Some are more and others less conservative. When you look at the more technical dive computers you will usually find more adjustment capabilities as the assumption would be that you have a good understanding of what the impact of those adjustments is. It’s pretty much common knowledge that Suunto uses a very conservative algorithm. You can somewhat manipulate it through the conservatism settings but it overall tends to be the most conservative algorithm you can find. Again, that does not mean it is worse than others nor does it mean that it will keep you safer. You’ll be usually safe if you don’t ignore any warnings or alerts from your dive computer. Yet, it undoubtedly can be frustrating when you are diving with your buddies and you end up being the one whose diving computer starts to ping first as it’s warning you to start to go up again. All others still show that there’s plenty of time yet your device tells you to prepare for ascending. 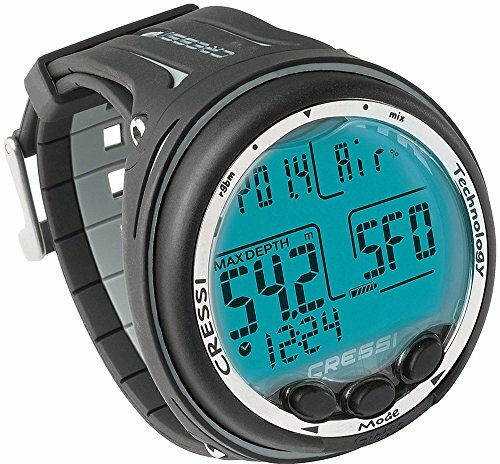 Cressi overall also uses a rather conservative algorithm. It’s probably not as conservative as the Suunto but comes pretty close. In some situations you might even find it to be more conservative than Suunto’s algorithm is. 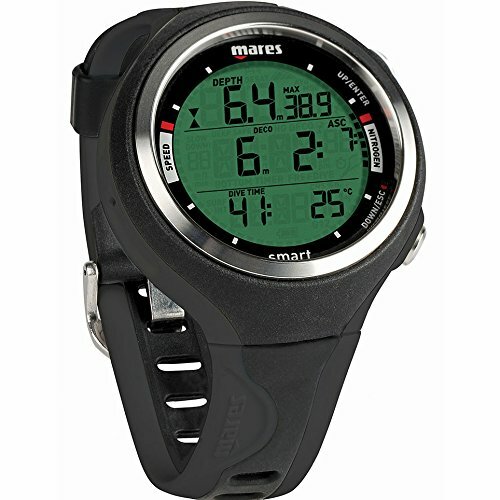 Mares, similar to Cressi and Suunto uses a RGBM algorithm. It’s also pretty conservative and depending on the model you have more or less adjustment capabilities. Oceanic, as already mentioned above, typically has two different algorithms in their computers. You will get a RGBM and DSAT based algorithm and you can switch between the two as needed. This is a great feature when you dive with a group as you can get closer to what other dive computers have. Atomic uses a recreational RGBM algorithm that is based on the Dr. Bruce Wienke model. It’s not an overly conservative algorithm but it is also not a very liberal one. Realistically it is somewhere in the middle of the pack. Shearwater dive computers are mostly technical in nature. Both the Petrel and Perdix models offer a ton of adjustment capabilities and pretty much lets you influence the underlying algorithm to the n-th degree. The Perdix uses a Bühlmann ZHL-16C algorithm with Gradient Factors. This allows for the most adjustments you can find today with any of the dive computers available. Changing the gradient factors allows you to change the model to be as aggressive or conservative as you want it to be. Compared to other scuba computers you can not just only set the conservatism settings in a few preset ways but have pretty much full flexibility to adjust different factors for the device. It’s close to coming up with your own algorithm. Yet, be aware that you should really understand what you’re doing when you start to manipulate the algorithm that way! There honestly is no perfect answer. It depends on what you’re comfortable with. More conservatism provides (theoretically) more safety. Yet, do not forget that safety here is based on theoretical models that have over time been justified through empirical studies. No dive computer will give you a guarantee that you won’t experience DCS (Decompression Sickness). A lot of considerations have to go into your personal calibrations and adjustments. The one thing you definitely should think about is not to have two different dive computers when you’re diving with the same partner all the time. In that case it will be the least frustrating to have the same device and the same settings. Otherwise, one of you will always be the one to having to come up first! For recreational divers the best overall seems to be Oceanic’s scuba diving computers. The ability to switch between two different algorithms makes them the most versatile. More experienced or technical divers might consider Shearwater devices as they will let you adjust to your hearts contempt. Using any dive computer with Gradient Factor adjustments, like the Shearwater models, does provide you with the ability to set the conservatism to any level you like. It would be wise though to have a really good understanding how and why you do those adjustments!